Oprah Winfrey, whose early life was marked by abuse, entered broadcasting in Nashville, Tennessee, at the age of 17, moving to news then talk shows. She took a failing Chicago talk show and made it into one of the most popular talk shows ever: The Oprah Winfrey Show. Oprah Winfrey was the first African American woman to become a billionaire. Oprah Winfrey was born on January 29, 1954 in rural Mississippi. Her mother was a single mother, still a teenager. They moved to Milwaukee, where she became pregnant at 14. She gave up the child. She went to live with her father in Tennessee. A barber, he provided a more stable home for the teenager. Excelling in school even with a childhood troubled with rebellion and abuse, Oprah Winfrey received a full college scholarship and won the Miss Black Tennessee contest when she was eighteen. The next year she began to work as a news anchor in Nashville. In 1976, after earning her college degree, she moved to a position with an ABC news affiliate in Baltimore, Maryland, and in 1977 began co-hosting a local morning show. Oprah Winfrey was hired in 1984 to rescue a failing morning talk show in Chicago, A. M. Chicago. After a quick turnaround in the ratings, it was expanded to an hour and renamed the next year as The Oprah Winfrey Show, and it was syndicated nationally in 1986 -- making Oprah Winfrey the first African American to host a nationally-syndicated talk show. That year, she formed Harpo Productions, a production company. She acted in or produced a number of movie and television projects. In 2000, she helped found Oxygen Media, Inc., providing cable and interactive programming directed at women. Oprah's Book Club, begun in 1997, has been responsible for huge sales of the books that she features on her talk show, with major benefits to the publishing industry and to individual writers. Oprah Winfrey had a part in The Color Purple, Steven Spielberg's movie adaptation of Alice Walker's novel. She appeared in a movie adaptation of Richard Wright's Native Son. She was in the television series The Women of Brewster Place in 1989. In 1992, she provided the voice of Elizabeth Keckley in the television production, Lincoln. In 1997, she produced and starred in the television movie Before Women Had Wings, and in 1998, produced and starred in an adaptation of Toni Morrison's Pulitzer Prize winning novel, Beloved. 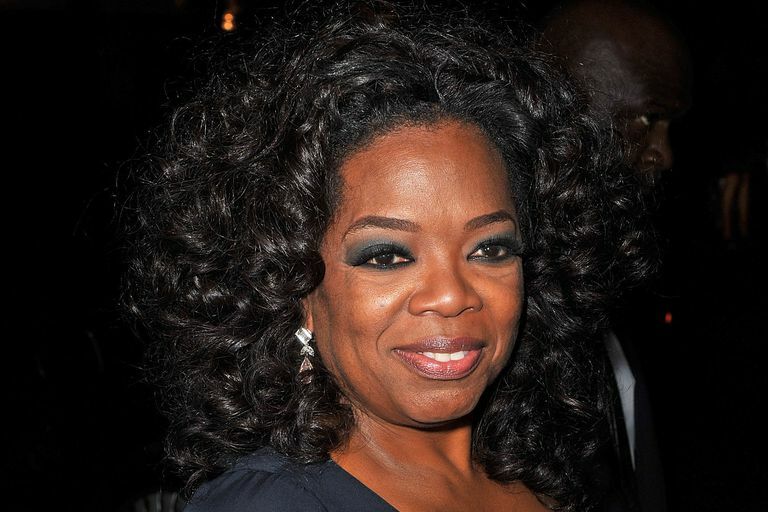 Oprah has also produced or played roles in a number of television and movie productions. Oprah Winfrey, with the income and wealth derived from her production company and other efforts, has chosen to donate a signficant amount to charities and other philanthropic causes, especially stressing education. The Oprah's Angel Network is one of her projects, in which she gives $100,000 awards to those who are helping others in significant ways. Born in Kosciusko, Mississippi, to parents who were not married, Oprah Winfrey moved at age six from her grandmother's Mississippi farm to Milwaukee, Wisconsin, with her mother, and at age fourteen to Nashville, Tennessee, to live with her father. Oprah Winfrey has never married; her long-time companion is Stedman Graham, a business executive, educator, speaker, and writer. Oprah was pregnant at fourteen but lost the baby soon after birth. • I am where I am because of the bridges that I crossed. Sojourner Truth was a bridge. Harriet Tubman was a bridge. Ida B. Wells was a bridge. Madame C. J. Walker was a bridge. Fannie Lou Hamer was a bridge. • I don't think of myself as a poor, deprived ghetto girl who made good. I think of myself as somebody who from an early age knew I was responsible for myself, and I had to make good. • My philosophy is that not only are you responsible for your life, but doing the best at this moment puts you in the best place for the next moment. • Become the change you want to see - those are words I live by. • Real integrity is doing the right thing, knowing that nobody's going to know whether you did it or not. • The key to realizing a dream is to focus not on success but on significance - and then even the small steps and little victories along your path with take on greater meaning. • In every aspect of our lives, we are always asking ourselves, How am I of value? What is my worth? Yet I believe that worthiness is our birthright. • Where there is no struggle, there is no strength. • The big secret in life is that there is no big secret. Whatever your goal, you can get there if you're willing to work. • I think education is power. I think that being able to communicate with people is power. One of my main goals on this planet is to encourage people to empower themselves. • I believe that everyone is the keeper of a dream - and by tuning into one another's secret hopes, we can become better friends, better partners, better parents, and better lovers. • I believe that every single event in life happens in an opportunity to choose love over fear.• You get in life what you have the courage to ask for. • Follow your instincts. That's where true wisdom manifests itself. • The more you praise and celebrate your life, the more there is in life to celebrate. • I know that you cannot hate other people without hating yourself. • Think like a queen. A queen is not afraid to fail. Failure is another steppingstone to greatness. • I don't believe in failure. It is not failure if you enjoyed the process. • Turn your wounds into wisdom. • If you look at what you have in life, you'll always have more. If you look at what you don't have in life, you'll never have enough. • Everyone wants to ride with you in the limo, but what you need is someone who will take the bus with you when the limo breaks down. • Though I'm grateful for the blessings of wealth, it hasn't changed who I am. My feet are still on the ground. I'm just wearing better shoes. • For everyone of us that succeeds, it's because there's somebody there to show you the way out. The light doesn't always necessarily have to be in your family; for me it was teachers and school. • Always continue the climb. It is possible for you to do whatever you choose, if you first get to know who you are and are willing to work with a power that is greater than ourselves to do it. • Don't live your life to please other people. • It doesn't matter who you are, or where you came from. The ability to triumph begins with you. Always. • That guy just cut right in front of me. But I'm not going to let it bother me. No. I'm on my way to work and I decided it doesn't matter who wants to cut in front of my lane today. I'm not going to let it bother me one bit. Once I get to work, find myself a parking space, if somebody wants to jump ahead of me and take it, I'm going to let them. • I was raised to believe that excellence is the best deterrent to racism or sexism. And that's how I operate my life. • They say getting thin is the best revenge. Success is much better. • Biology is the least of what makes someone a mother. • Some of my most comforting memories are of sitting between my grandmother's skirted knees, while she scratched my head and oiled my scalp. It was our ritual, one we performed again and again, right there on the front porch -- as did many a black girl growing up in the South. Today I know enough to know that the comfort was about all I was getting out of our little ritual, because it wasn't doing my hair a bit of good. But it felt great at the time. • Duct tape is like the force. It has a light side, a dark side, and it holds the universe together. • My idea of heaven is a great big baked potato and someone to share it with. • Mr. Right is coming. But he's in Africa and he's walking. • You can have it all. You just can't have it all at one time.